Health Benefits: With its high water content and being rich in potassium (a natural electrolyte), watermelon is a perfect treat for staying hydrated during the summer heat. Buy It: Look for a watermelon with a smooth, unblemished rind. When lifted, it should feel heavy for its size. 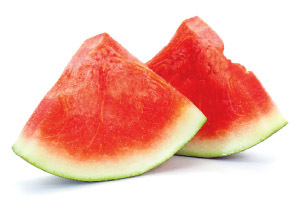 Serve It: Fresh watermelon needs no added seasonings and flavorings. It can be eaten all on its own, but it’s also a wonderful addition to salads, fruit cocktail and frozen drinks. Use it to make a refreshing sorbet or brush slices with oil and grill just until grill marks appear. Fun Fact: Watermelon is related to cucumbers, pumpkins and squash. 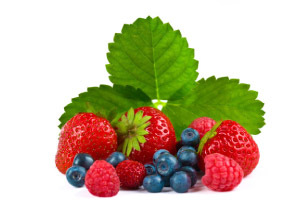 Health Benefits: Berries may be small, but they pack a powerful punch of antioxidants. They are filled with vitamins A, C and E and flavonoids, which give them their brilliant color and protect against cancer, inflammation and heart disease. Buy It: Select berries that are plump and vibrantly colored. Avoid containers with mold, stains or varieties with dull or wrinkled skin. Serve It: For their full nutritional benefit, it’s best to eat berries raw. However, they will add vitamins, minerals and sweetness to dishes such as overnight oats, yogurt-covered berries, salads, desserts or frozen and blended into smoothies. Fun Fact: According to research published in the journal Neurology, people who eat at least two servings of berries each week have a 25 percent less chance of developing Parkinson’s disease. Health Benefits: Mangoes are a water dense fruit that are only 100 calories per cup. They have high levels of fiber, pectin and vitamin C which help lower cholesterol. Buy It: The color of a mango doesn’t indicate how ripe it is. Give it a little squeeze –­ firm flesh with a little give means the mango is ripe. 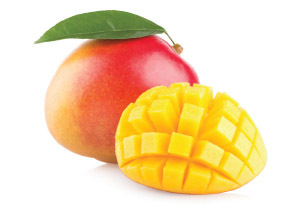 Serve It: Eat mangoes out of hand as a healthy snack or add to salads, smoothies or salsas. The fruit has natural tenderizing properties so they’re the perfect addition to marinades and chutneys. Fun Fact: Mangoes were first grown in India over 5,000 years ago and are now one of the world’s most popular fruits. Health Benefits: Tomatoes are a low calorie vegetable that are low in fat and have no cholesterol. 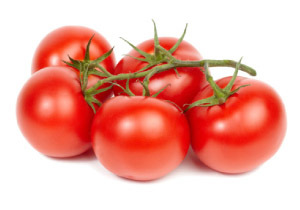 They are rich in lycopene, a compound known to make skin less sensitive to UV light damage. Buy It: Pick tomatoes that have a bright red color and firm, wrinkle-free skin. Serve It: Tomatoes are a staple of Mediterranean cuisine, often found in sauces, salads and soups. Add slices to burgers, sandwiches and pizza; sprinkle halved tomatoes with grated Parmesan cheese and oregano, then grill until the cheese melts; toss cherry tomatoes into fresh summer salads or add to kabobs. Fun Fact: According to Guinness World Record, the heaviest tomato ever was 7 pounds, 12 ounces. Health Benefits: Skip the multivitamin and eat a cucumber. This vegetable contains a number of B vitamins, folic acid, vitamin C, calcium, iron, magnesium, phosphorus, potassium and zinc. 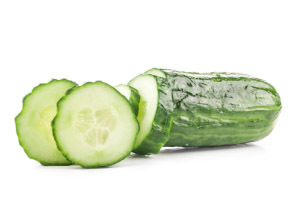 Buy It: Choose cucumbers that are firm with rounded edges and a smooth, dark green skin. Serve It: Many of the nutrients are found in a cucumber’s skin, so leave the peel on to receive their full health benefits. Use thin slices to flavor water, or use to make pickles, a chilled soup or tzatziki (a Greek condiment made with grated cucumber, plain yogurt, olive oil, vinegar and fresh dill). Fun Fact: Cucumbers can eliminate bad breath. Hold a slice on the roof of your mouth for 30 seconds and let the phytochemicals in cucumbers kill odor-causing bacteria.